I would probably speak for most of us when I say that forgiveness is and always will remain one of the greatest philosophical mysteries of life. I say this because genuine forgiveness can be one of the most difficult states of mind to achieve. Most of us would live by the old cliche saying that it is easy to forgive, but difficult to forget, and I attribute this as much to myself as to anyone else. Indeed, forgiveness is an elusive phenomenon! Yet forgiveness is a necessity for not being able to forgive equates not being able to let go of the hurt within that can very much cripple our psyche. I have witnessed first hand how damaging the effects of hate can be. I share a story of a lady who was not able to forgive others for making her the subject of ugly rumor. She began hallucinating that everyone was deliberately picking on her. The hatred was vested so deeply that it began to consume, and this lady was soon obsessed with the idea of revenge. Ultimately, she suffered from one of the worst nervous breakdowns you could ever witness, calling each of her friends and accusing them of the worst things imaginable, going as far as to harass their family members as well. She has had to be warded for psychiatric assessment as a result. This may seem like a scene out of an episode of General Hospital, but it is indeed a real incident, and drives home the point that negativity can indeed have crippling effects. Why is forgiveness such a huge stumbling block? Indeed, forgiveness can be one of the most difficult stumbling blocks we have to surmount. When we cannot forgive, it is most often the result of hurt pride. When someone we trust and treasure hurts us, he or she deals us a huge blow, not only to the trust we have vested in that person, but also to our esteem as well. We feel under valued and cannot understand why someone can misplace the trust we have had in them. We have been brought up to believe in things in a certain way. When someone ruffles my feathers in any way, I often ask why I cannot extend the white tulip of forgiveness to them. Indeed, these tulips can be so hard to come by. Why? 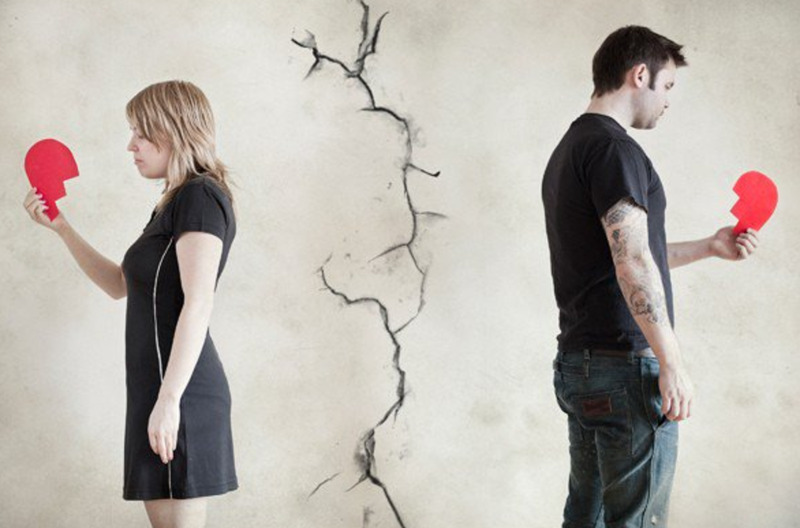 The inherent beliefs we have be brought up with often stand in the way of our ability to forgive. The idea of self-preservation we are ingrained with by elders often tells us that we are silly if we allow ourselves to be taken advantage of by forgiving others. The social norm is deeply ingrained. We are afraid of not being accepted ourselves if we forgive too easily or that our kindness would be taken for granted. Lack of forgiveness is an excuse for letting oneself off the hook. When someone behaves in an inappropriate way, it is the perfect excuse to say, “So he’s done it too” and shift the focus of our own misdemeanors onto them. We heave sighs of relief when we are the ones not being singled out for any recalcitrant behavior. It is the reason why we have to take a little step back and take a hard look at ourselves when we become victims of misdeeds. We might have done something very similar! I will be the first to admit that it is not easy to take my own advice. Putting things intopractice is always harder than saying them. Still, it is good for us to have something thatwill serve as a guide. 1. Learn to empathize with them. As bizarre as this may sound, people could have had difficulties that led to them hurting you. 3.Remember that we have made mistakes too, and want to be forgiven for them. do not force yourself to do so; keep a distance until you can get a grip on your feelings. 5. Everyone is doing his best, including the person who has offended you. 7. The reason why you find it hard to forgive a person who has hurt so deeply is because of the love you have had for them. If we look deeply enough, it is still there! 8. It takes less energy to forgive than hate another person. 9. Since it takes less energy, peace comes naturally when you forgive. 10. Remember why you love the person who has hurt you. Extend the white tulip of forgiveness. What has happened already has, and it is time to forget. 11.The harder it is to forgive, the more responsible we become. 12. Do not force forgiveness; let it bide its time. But at least do not act on anger. 13. Try writing a letter stating why that person has hurt you and burn it, along with all your discontent. 14. Remember when you were forgiven. 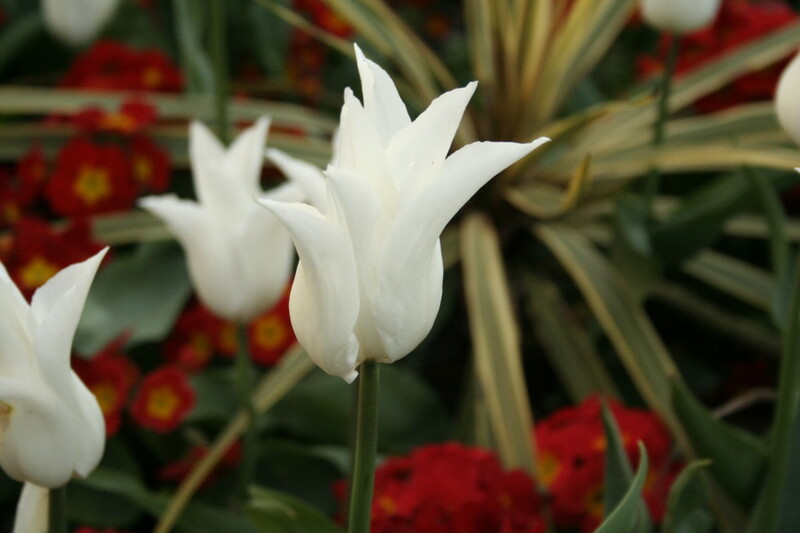 White tulips that bloom in the spring usually represent forgiveness. We all recognize the cup shaped petals and the long green stem. 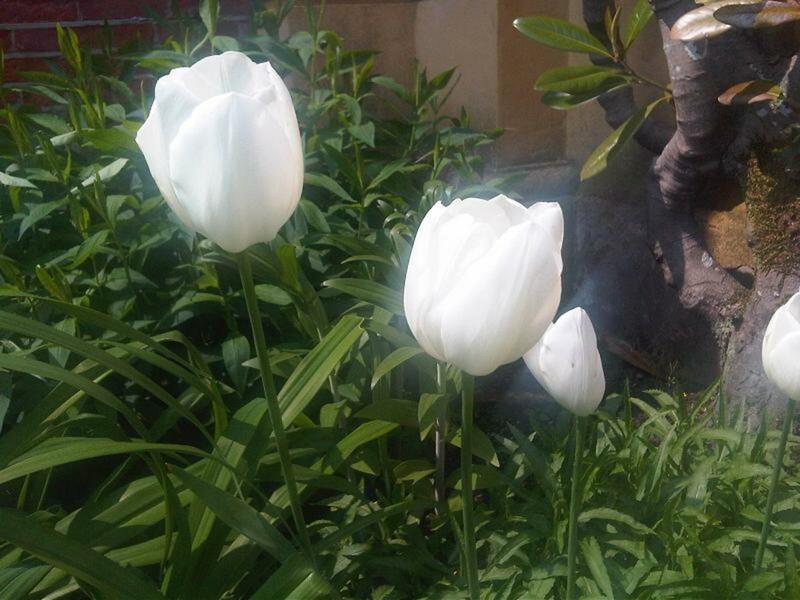 How should we extend the white tulip when it seems that we cannot do so? We struggle with adversity- it can cripple and leave us completely helpless. Here are some useful suggestions for coping with our problems in life! I voted this article as awesome and beautiful, nice information, omg, very good article, well done. Ish, thanks so much, and this is a wonderful comment! Glad to get to know you, and you're so right, it's best to forgive and be forgiven, for we are not perfect. So glad you've dropped by, and hope to get to know you better! An engaging hub on one of the most important human virtues - forgiveness! From my experiences, it is best to forgive and forget, no matter how much it takes time, especially when one is hurt to a great extent. My mother told me that if we learn to overlook people's faults and forgive them, God will forgive us for our mistakes because no human being is born hundred percent perfect. A wise and sensible hub with 15 helpful suggestions as well as a soothing poem on the floral symbol of forgiveness - white tulip! Well-done! Hi Keith! Spot on! Forgiveness, in whatever form, is always the greatest power and regretfully, not many people appreciate that. Really appreciate the vote! The greatest power in the world is forgiving. Forgiveness is used at its prime when you can forgive yourself for what you may have done. Thanks, Snowdrops! So glad you've stopped by, and I really appreciate your encouragement! Those were amazing white tulips! i would have chosen that flower too on a hub about forgiveness..very pure and delicate. your 15 ways to forgive is awesome. Trinity M, thanks for stopping by! I am glad you've found this useful! And you are right, we've to forgive for ourselves, not as a favor for the person we're forgiving. Lipnancy, thanks for stopping by! Yes, we often confuse forgiveness with forgetting, and think that forgiveness simply means saying so and it's enough. We have to learn how to really put it out of our minds. That's the hard part! This is truly a wonderful hub. Forgiveness is probably the best healing tool we possess, and as you mention in your hub, we must forgive for our own sake not for the sake of the person we are forgiving. Loved the poem too. Voted up and useful. This is a beautiful hub. I am glad Josh shared it with us. I think we all confuse forgiveness with forgetting. Hi Josh, thank you! I"m glad you find this relevant. Yes, it's dying, because we sometimes move to fast for it to stay alive as well. I guess it's time to slow down, think about the times we've done something we shouldn't and forgive a little! Awesome hub and poem! Forgiveness seems to be a dying art in this day and age. What you say here is so very true and very relevant. Number three about us making mistakes is right on the dot! Until we realize this truth, we will be less likely to forgive. Thanks for sharing this awesome hub Michelle! Thanks, Ipok! I'm glad you came by! Will pop by your site as well! Thanks, Spy, for being my first commentor! Glad you like this! And I really appreciate the share! Wow, white tulips are really beautiful. pure and innocent. 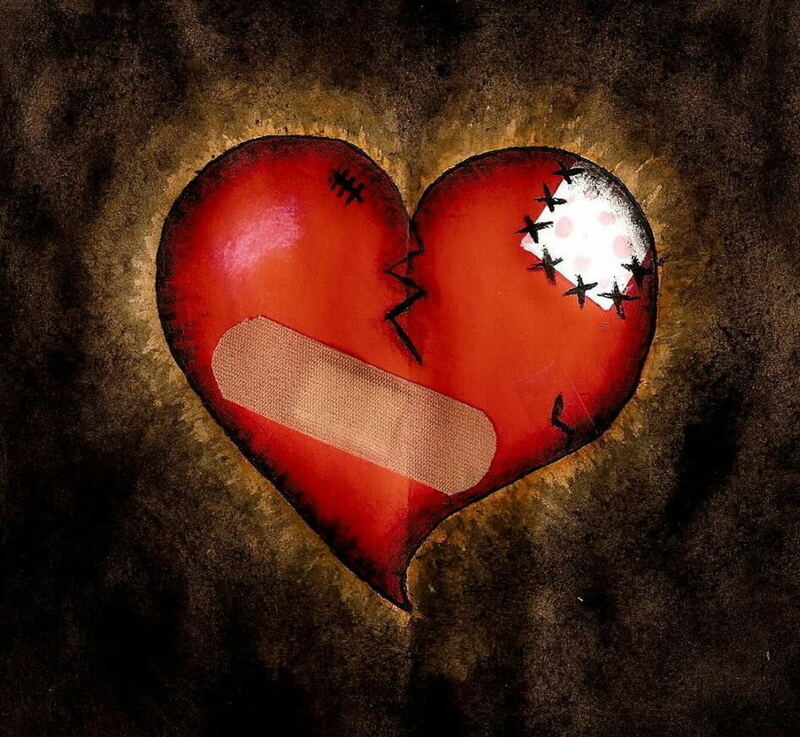 forgiveness is really for yourself to break your heart on hatred and anger.. very wonderful hub! The white tulip of forgiveness is difficult to extend. How can we do so when it sometimes seems impossible? And a poem on the White Tulip - a truly beautiful flower.